For initial purchase. The Comprehensive Student Material Set includes the complete set of Student Materials in both print and digital versions, and comes with a 1-year ConnectED Student Learning Center Subscription. 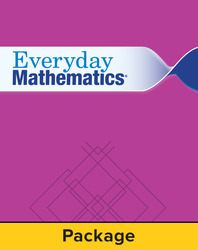 Print Student Materials include Student Math Journals (Vol. 1 & 2), Student Reference Book, and Geometry Template.